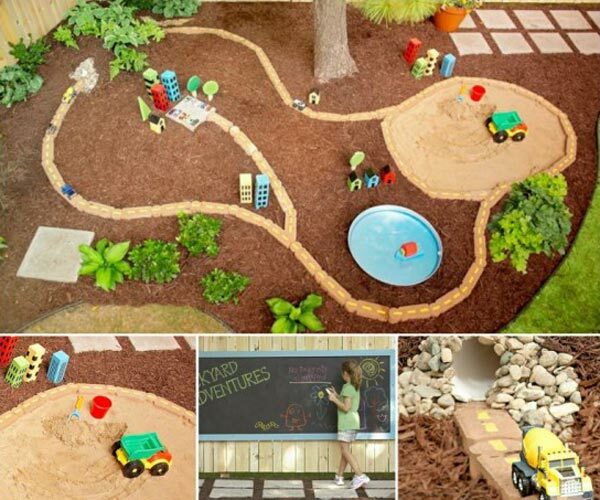 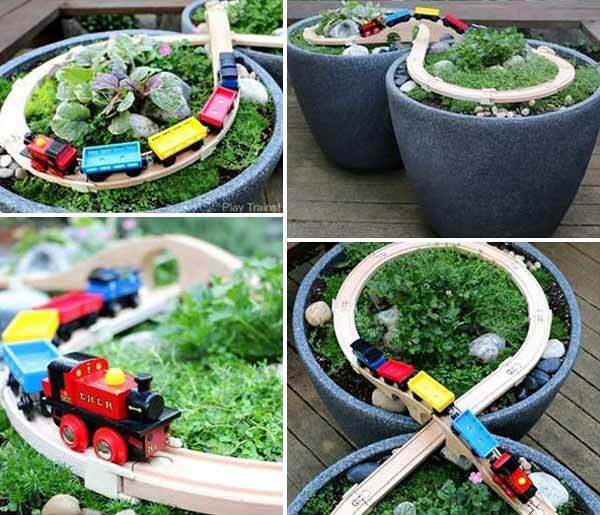 Backyard or garden is a great place to set up a play area for your children. 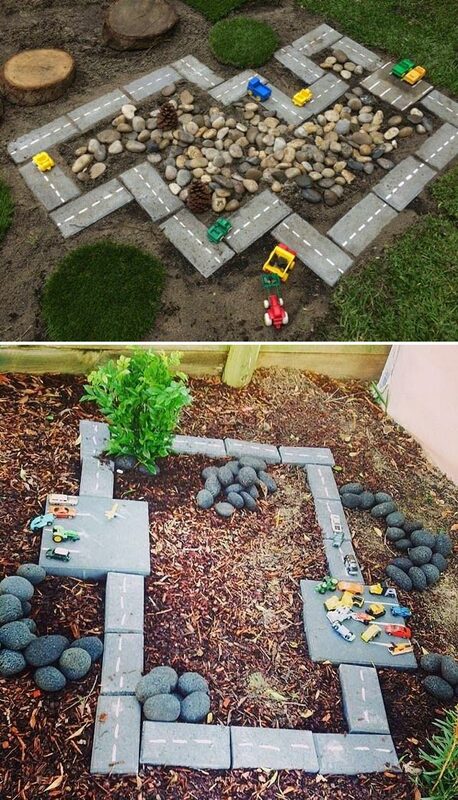 A fun and safe playground will make your kids away from the computers and be willing to stay outside. 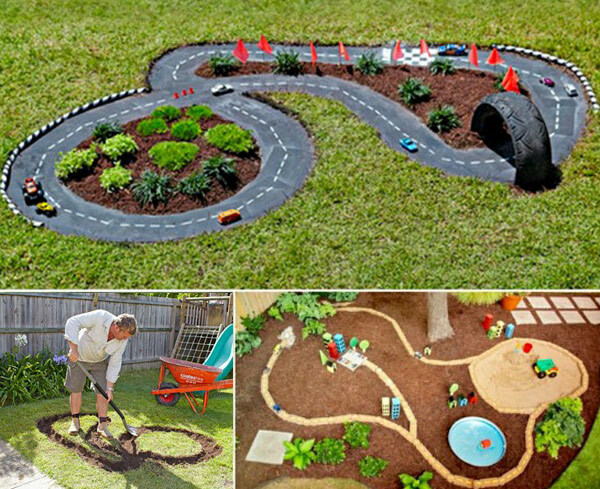 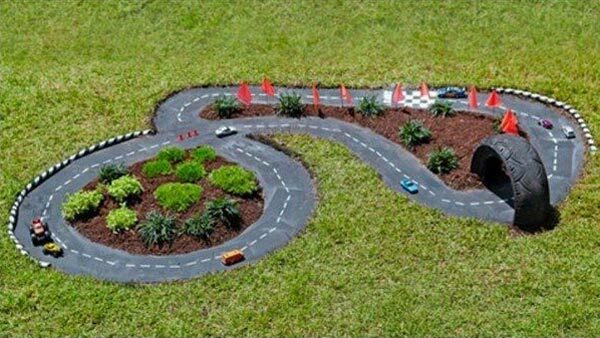 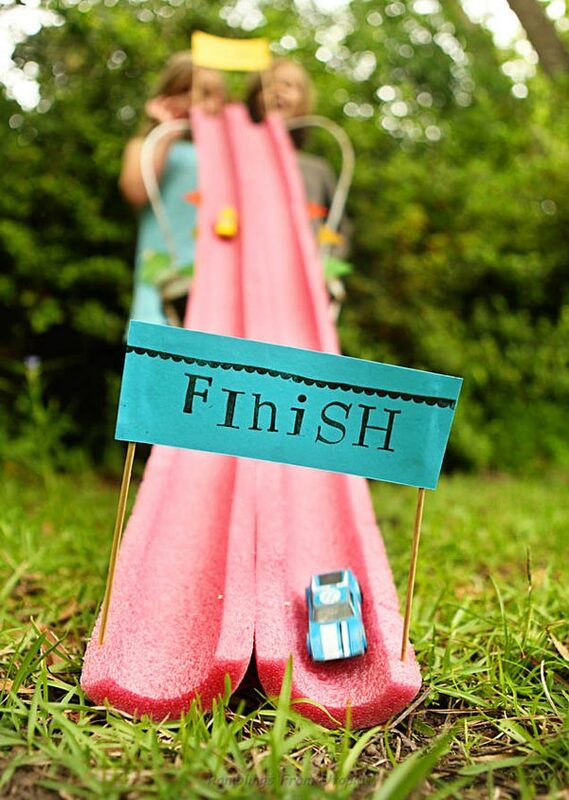 Just as this tyre race car track, it is easy and affordable to make, and will provide hours of fun for kids.